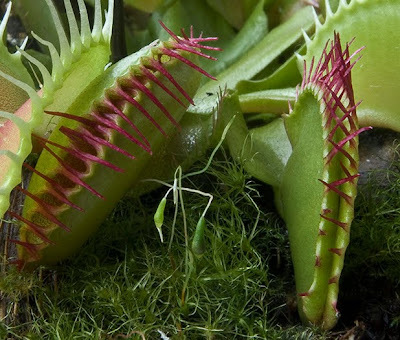 Out of all the carnivorous plants that you can buy, the Venus Flytrap is perhaps one of the easiest to grow. The one thing to remember is that it does come from a specialist environment which is why it obtains its ‘nutrients’ in such a unique way. This does mean however, that Venus flytraps require a rather specialist compost mix to grow in otherwise these plants will almost certainly die. WARNING, you cannot plant Venus flytraps into a multi-purpose compost! In their native habitat – which is only a small area of marshy coastal country straddling the border between North and South Carolina – Venus flytraps have evolved to survive in low nutrient environments, such as bogs or the wet savannas. Usually when you buy a Venus flytrap it will already be potted up in a suitable compost but if you are growing from seed or potting on, you will need suitable compost – something you are unlikely to be able to buy in most plant retail shops. 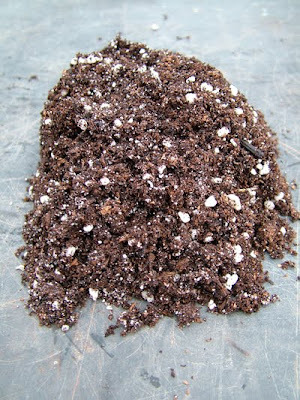 However, you can easily make up your own Venus flytrap compost by making a 1:1 mix of moss peat and perlite or silica sand. Peat moss makes an ideal starting point for making carnivorous plant compost because it is both nutrient poor and slightly acidic. At no point should you need to add any fertiliser or lime to the compost mix as this will cause root damage through ex-osmosis. Ex-osmosis occurs when the concentration of soluble nutrients in the roots environment is greater than the concentration of soluble nutrients within the actual root. When this happens water moves from the root cells to the soil causing a state of dehydration within the root. If ex-osmosis continues then the root cells eventually die causing a condition known commonly as 'root burn'.